The Ramsar definition of “wetland” “Wetlands are areas of marsh, fen, peatland or water, whether natural or artificial, permanent or temporary, with water that is static or flowing, fresh, brackish or salt, including areas of marine water the depth of which at low tide does not exceed six metres” (Article 1.1). In addition Ramsar Sites “may incorporate riparian and coastal zones adjacent to the wetlands, and islands or bodies of marine water deeper than six metres at low tide lying within the wetlands” (Article 2.1). 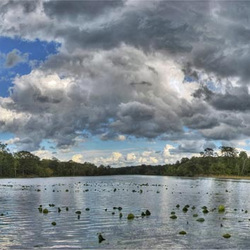 Ramsar is the oldest of the modern global intergovernmental environmental agreements. It is not a part of the United Nations or any other global entity. Underscoring the importance of wetlands, Ramsar is the only such global treaty organization dedicated to a specific habitat. The Ramsar Convention’s mission is “the conservation and wise use of all wetlands through local and national actions and international cooperation, as a contribution towards achieving sustainable development throughout the world”. At the center of the Ramsar philosophy is the “wise use” of wetlands. When they accede to the Convention, Contracting Parties commit to work towards the wise use of all the wetlands and water resources in their territory, through national plans, policies and legislation, management actions and public education. The United States is one of the 168 contracting parties (countries). The Convention defines wise use of wetlands as “the maintenance of their ecological character, achieved through the implementation of ecosystem approaches, within the context of sustainable development”. Wise use can thus be seen as the conservation and sustainable use of wetlands and all the services they provide, for the benefit of people and nature. Wetland of International importance in U.s.
As of 2015 there are just 37 designated Wetlands of International Importance in the U.S. See a complete list here. One of those sites is in Ohio, the Wilma H. Schiermeier Olentangy River Wetland Research Park on the campus of The Ohio State University seen here. Worldwide there are 2,209 official Wetlands of International Importance. The U.S. is under-represented and Ohio has many well qualified candidates for this recognition. see Fact Sheet. OWA has identified many potential candidates for Wetlands of International Importance in Ohio. We are dedicated to assisting interested parties in achieving this important status. 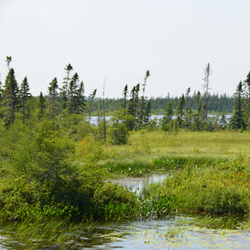 Any local government, group, community, private organization, or landowner can nominate a site for inclusion on the Ramsar List of Wetlands of International Importance. A written agreement is required from all landowners and a Member of Congress representing the geographic area. For further explanation see RIS 2009-2014 version here. For the full explanation download the 120 page PDF Handbook 17 Designating Ramsar Sites. The OWA newsletter of November 2014 focused on Ramsar current events and importance. Download the pdf of that newsletter HERE. 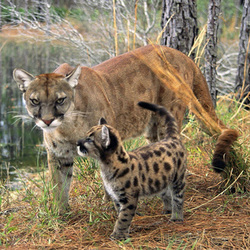 Everglades National Park where Florida’s panther population has been growing in SW Florida during the past 20 years especially where the Everglades provides sanctuary. Chesapeake Bay Estuarine Complex is a vast estuarine complex composed of multiple, physically separate protected areas. Ten major rivers enter the system. Kakagon and Bad River Sloughs occur at the mouths of the Kakagon and Bad Rivers along Lake Superior are some of the most extensive and highest quality coastal wetlands in the Great Lakes.